This review will be an in-depth look at Matt Huston’s “Ex2 System,” a well-known program designed to assist men with the process of winning back their ex-girlfriend. Matt Huston’s Ex2 (or “Ex Squared”) System has actually been around for years already, and has been relatively successful in spite of Matt’s rather antiquated website (which is the only place you can order this 100% digital program). In the review below, you’ll learn why we found Matt’s program to be “perfectly adequate” but not as effective or valuable as the top rated programs (primarily The Ex Factor & Text Your Ex Back, both of which I feel offer more value and more comprehensive advice). 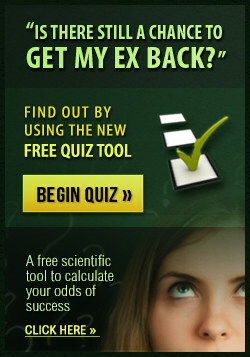 This is a well-written program offering ample useful advice on getting your ex-girlfriend back, but it’s not quite up to par with other best-selling products. 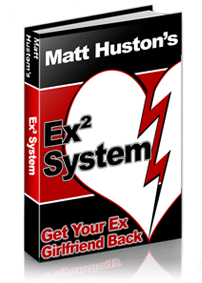 Overall, I think Matt Huston’s Ex2 System is probably the fourth or fifth best ‘ex back guide’ for sale today. Click here to visit The Ex2 System official website. At the end of the day, Matt Huston’s Ex2 System is “average” — nothing more, nothing less. That means it’s a solid program with plenty of useful and practical advice on getting back together with your ex girlfriend, so there’s certainly enough tips and advice in the e-book to justify the cost. That said, The Ex2 System also fails to meet the standards set by the top ‘get your ex back’ programs (see my top 3 recommended products here), and it needs to be updated with the latest research. The program, while certainly not unreadable, also lacks the professional feel of other top products such as The Ex Factor Guide or The Ex Back Experts… it’s well-written and understandable but doesn’t offer the ‘flash’ or presentation you’d expect for the price. But, since most people aren’t nearly as concerned with aesthetics as they are with the information in the e-book itself, let’s focus on the advice offered by Matt Huston in his Ex2 System. Huston is clearly knowledgeable and well-versed in common tactics that you can use to win back your ex girlfriend, and his book is logically divided into various stages of rekindling attraction and getting your ex to fall back in love. A few of the tips in The Ex2 System are actually very cool and not found anywhere else… I particularly liked his suggestion that you use a nickname or pet name for your ex girlfriend. There are several tidbits of advice sprinkled throughout the book that I haven’t seen elsewhere, but most of it is fairly generic stuff about getting your ex to miss you and slowly re-igniting her romantic interest. The main Ex2 e-book is approximately 75 pages in length — comparable to most other programs (except Brad Browning’s Ex Factor Guide, which is the most comprehensive program at about 120 pages long). There is sufficient information in most areas, but not every possible scenario is covered… for example, what if your ex has told you she wants to be left alone? Or what if you and your ex girlfriend have already been apart for several months? Questions such as these would definitely be welcome additions to the Ex2 System. While Huston clearly knows what he’s talking about, I was disappointed when both of my emails to Matt asking for additional advice went unanswered. Other gurus like Brad Browning and Michael Fiore have always responded to coaching emails within a few hours, so Huston’s lack of email support is definitely a big concern if you’re considering purchasing a guide to getting your ex back. The rest of the program — an audio course and a couple of throw-in bonus items — is not really very impressive, but it does add some value. Overall, in terms of value for dollar, I’d say that Huston’s Ex2 System is priced fairly, but comparable programs like Text Your Ex Back and The Ex Factor offer much more information for the same price. As with most ‘get your ex back’ programs, The Ex2 System is sold via Matt Huston’s website and the entire program is available instantly because it’s 100% digital. Huston also offers a 60-day money back guarantee, although as mentioned above, he did not respond to my emails so actually getting that refund might be more challenging. The overall verdict? The Ex2 System by Matt Huston is perfectly adequate, and nothing more. If you’re looking for an alternative option, I recommend The Ex Factor Guide. Click here for instant access to The Ex2 System. The Ex2 System is ranked #5 in this product category.